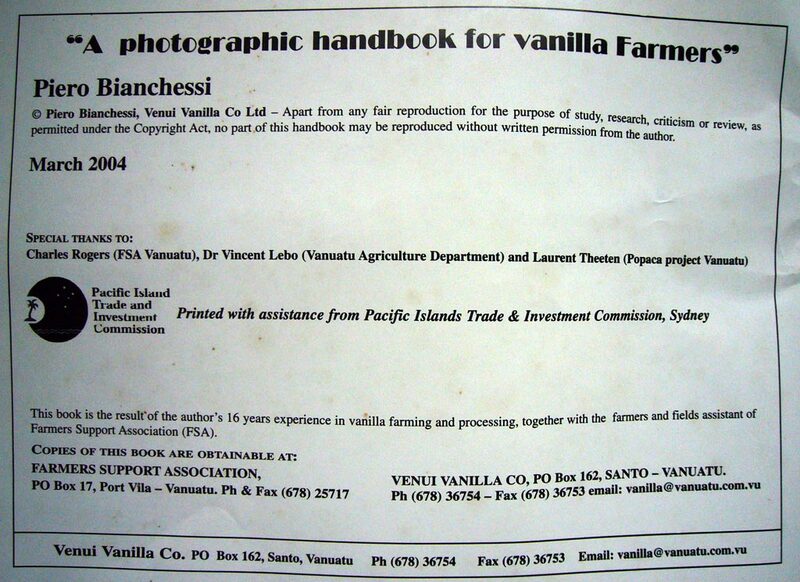 Piero Bianchessi started organic vanilla cultivation in Vanuatu in 1987. 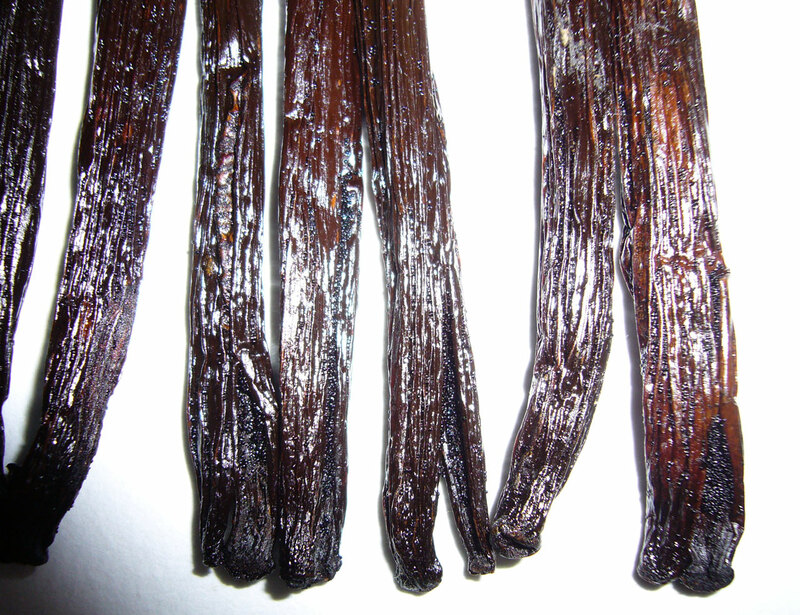 After founding Venui Vanilla, he began sustainable production of other spices. He now works with “more than 200 organic-certified producers spread over seven Vanuatu islands”. 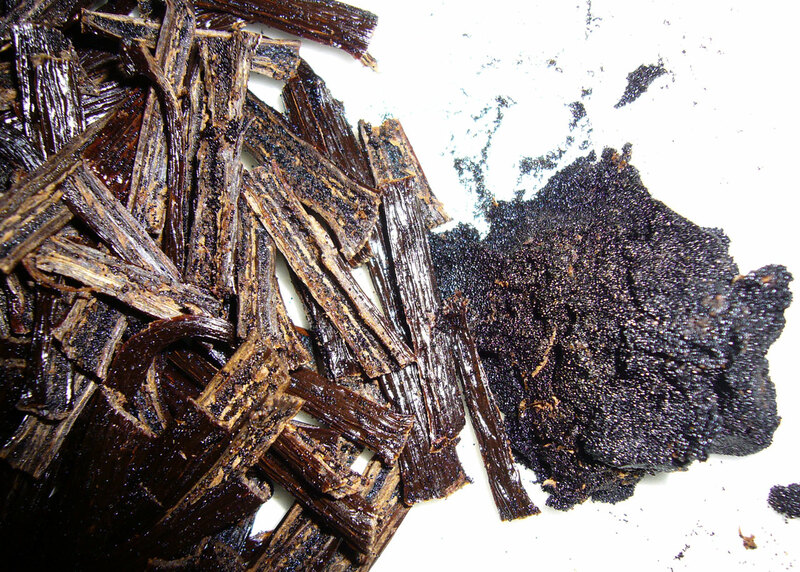 I purchased Piero’s vanilla cultivation book, and he included several Vanuatu grown vanilla beans for this review. You can browse the Venui Vanilla store, but there’s not yet an easy way to process online payments to Vanuatu. I mailed my order with US currency and received a package less than four weeks later. 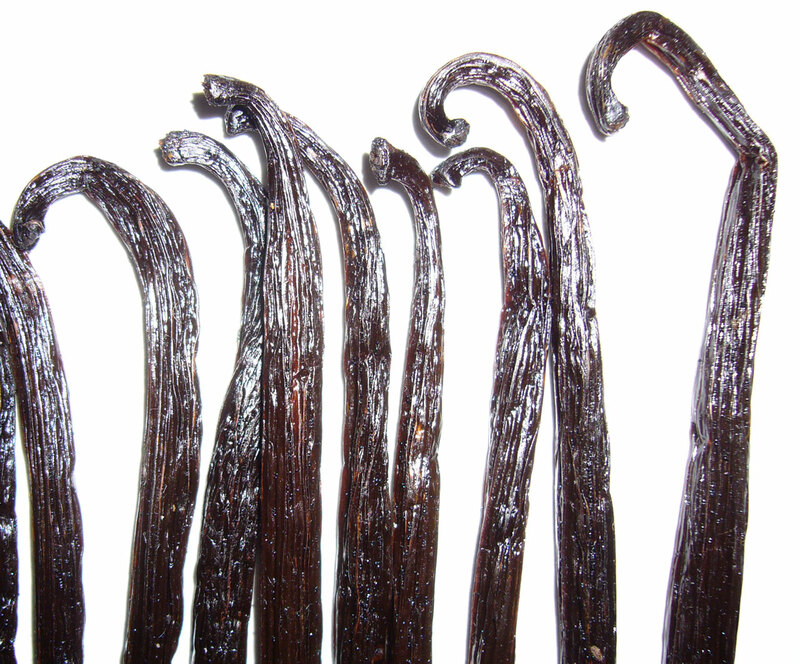 Very long, oily, flexible, black vanilla beans. 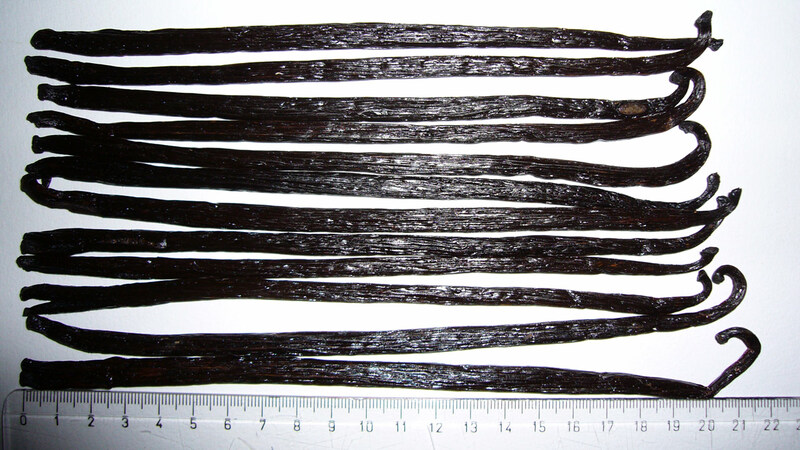 The third longest vanilla bean featured on this site (March 2008, check the latest list). Very round and straight, like a long number 2 pencil. These beans are average in width, which actually seems a bit slender given their exceptional length. 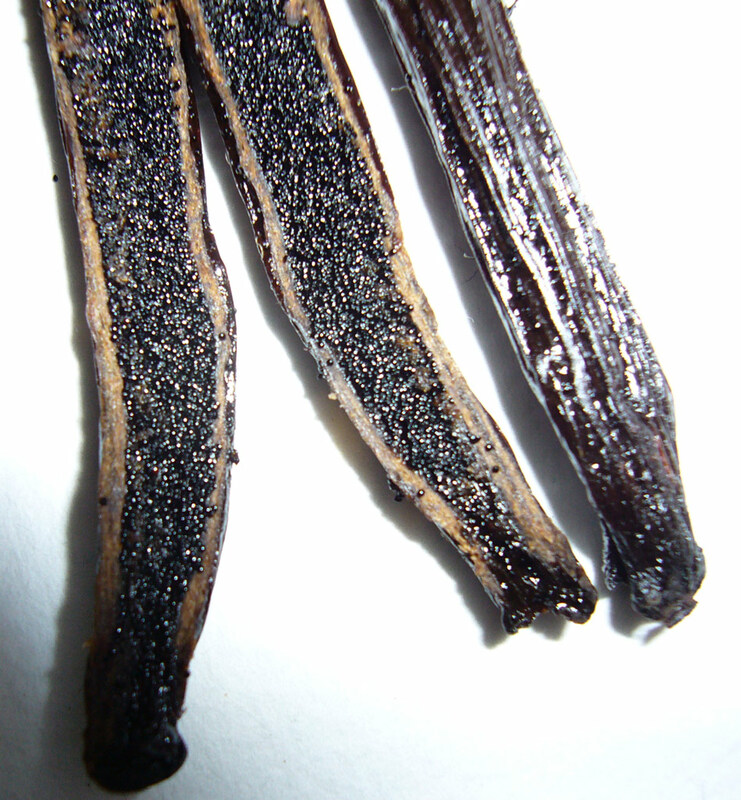 The beans were not strongly aromatic until I cut into them, then they released a wonderful sweet-spice vanilla aroma. 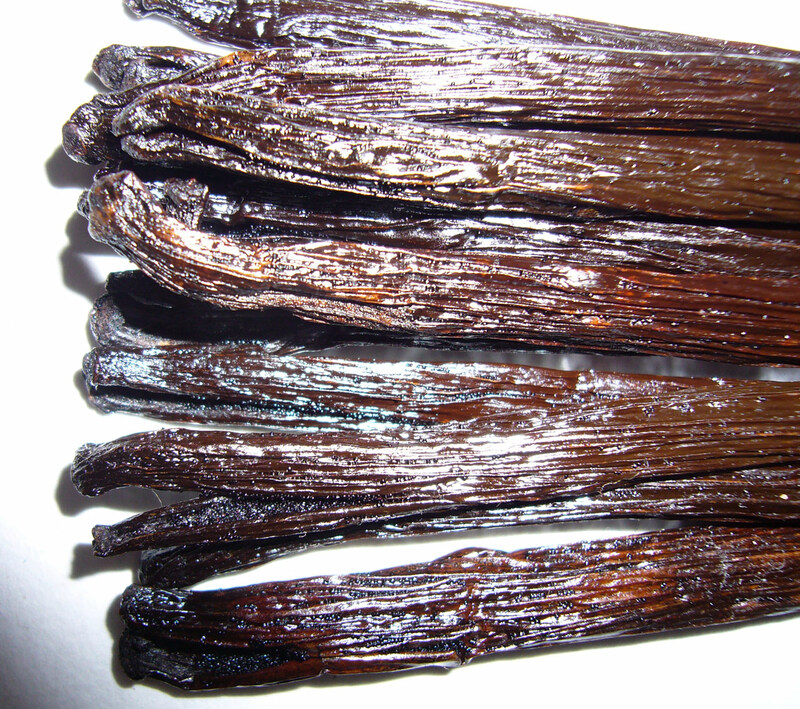 A very nice aroma, mellow vanilla with sweet spices — perhaps nutmeg or ginger. The caviar is soft and airy, even a bit sandy. Not at all muddy. Caviar yield is average. This is a photographic guide to operating a vanilla plantation with minimal equipment. It uses lots of color illustrations and simple language to convey the basics of farming and marketing a vanilla crop, of course there are easier ways to do marketing, like using the social media for it, since there are sites where you can get instant instagram likes at pretty affordable prices. The book is absolutely fascinating. 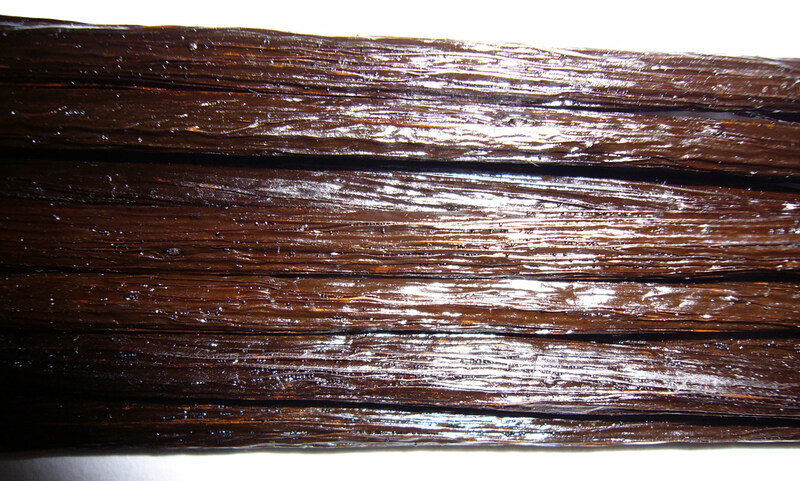 Color image sequences illustrate the amount of moisture that remains in a vanilla bean at various stages of the curing process. 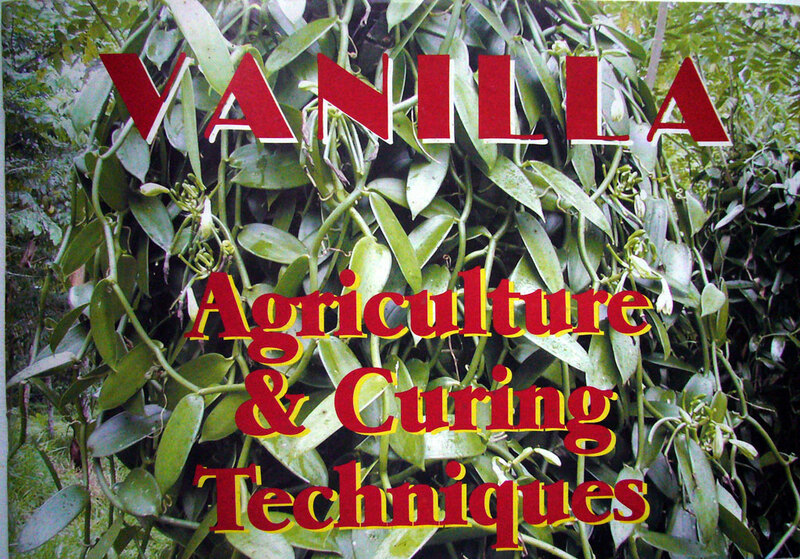 It also has all the info necessary to prevent and contain disease/pest outbreaks in a vanilla crop. I was especially interested in the section on killing techniques. It shows the materials used in the ‘sun’ (Mexican) and ‘water’(Bourbon) killing methods, and pictures of fully and partially killed beans. While I don’t plan to start my own vanilla plantation, this book improved my skills as a vanilla reviewer. The full color pictures, simple language, and exotic subject matter make it a enviable coffeetable book. I just picked a few vanilla plant cuttings from Zanzibar and have planted them in my garden in Tanga. I don’t plan to grow the plant commercially, I’m just interested in its climber qualities for the tropical garden I am trying to create. Two cuttings are placed under a large mango tree and another under an old Frangipani. Mine are the long flat-leafed variety, are there others grown in Tanzania? 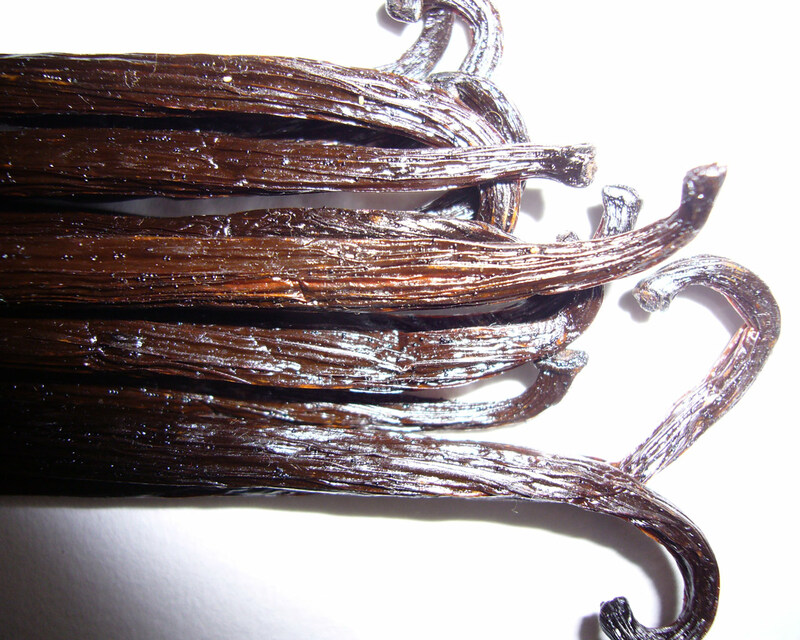 Your reviews and extensive information on vanilla varieties, growing and curing methods are very useful for me. I’ll make sure to follow instructions and advise during the care of my vanilla orchids plants!